It’s estimated that about 12% of people in the U.S. have irritable bowel syndrome (IBS). Though IBS doesn’t affect the health of your digestive system, it can keep you from doing the things you love. 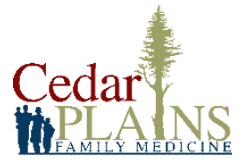 If you have IBS, or think you have IBS, Dr. Spohn at Cedar Plains Family Medicine in Hickman, Nebraska provide medical management for the digestive disorder. For treatment and management of your symptoms, call the office, or schedule an appointment online. IBS is a digestive disorder that causes pain and changes in bowel habits without causing any damage to your digestive tract. It’s considered a functional gastrointestinal disorder, which is now referred to as gut-brain interactions, and occurs because of problems with communication between your brain and your gut. There are three types of IBS, categorized by how they affect your bowel function. Knowing your type can help Dr. Spohn direct your treatment. IBS is a chronic condition that can last years. Researchers are still investigating the cause of IBS, but have found patterns that may increase risk of IBS, such as history of early childhood abuse, mental health issues such as depression or food sensitivities. To diagnose IBS, Dr. Spohn monitor the patterns of your symptoms over time. There’s no one best treatment to help reduce your IBS symptoms, and it may take some trial and error for you and your nurse practitioner at Cedar Plains Family Medicine to find the right treatment for you. Lifestyle changes, such as eating more fiber and getting regular exercise, may help significantly improve your symptoms. Cognitive behavioral therapy may also help. Dr. Spohn may also recommend medications that improve bowel function to relieve diarrhea or constipation, or medication to treat your abdominal pain. You may only need to follow the diet for a few weeks to see if it helps, then you can slowly reintroduce the banned foods to identify your IBS triggers. For management of IBS, call Cedar Plains Family Medicine, or schedule an appointment online.